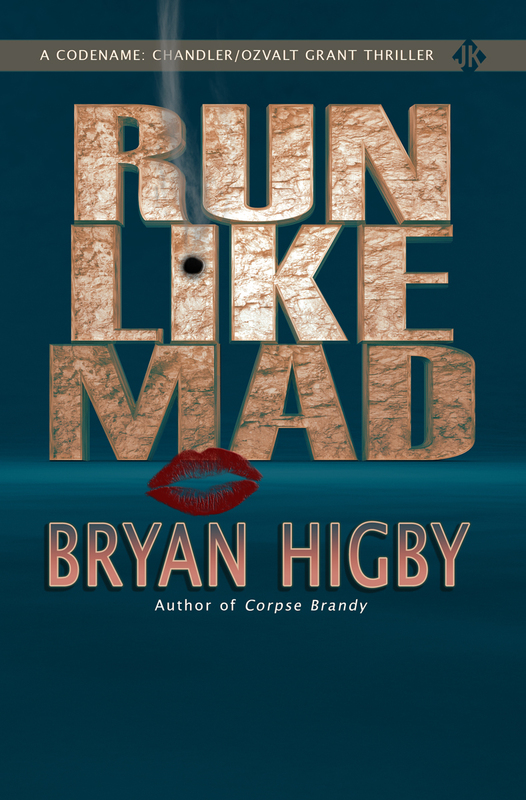 My name's Bryan Higby. I guess that’s what you do in a first time blog - introduce yourself, right? I’d prefer not to bore you with rehashing the last twenty plus years of my life as a writer. Suffice to say I have had two short Fantasy novels published using the traditional route to no avail. The novels, The Diary of a Logos and A Logos At Large, sank like a stone. The first one did get a rave review in a local paper by a literary critic Robert Plyler, who compared The Diary of a Logos to the works of James Joyce, Franz Kafka, and Mickey Spillane. Not bad aye? There could have been a lot of reasons why nothing happened with those books. These were early books without a refined craft in place. 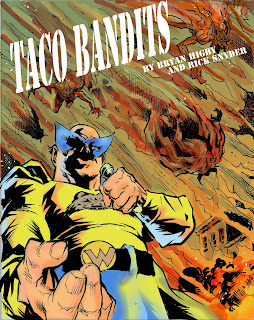 The publisher was small with virtually no marketing budget, or the kiss of death…my work sucked! Say it ain’t so, Joe! 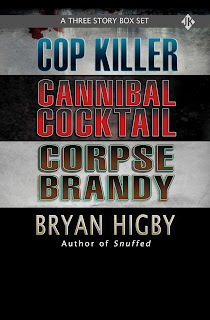 Speed ahead ten years almost to the day of when The Diary of a Logos was published and now I have three novels – Cop Killer, Cannibal Cocktail, and Corpse Brandy – being published through an unprecedented contract with Amazon.com with the great Joe Konrath. Joe, my angel I must say, has allowed many of us writers who haven’t found an audience for our own characters to piggy back on his bestseller status. In 2013 Joe did a blog post inviting some of us who had their own characters to write a short story with some of his Jack Daniels characters. His wife, Maria, (bless her), would read them. Being Joe’s Ideal Reader, if Maria liked the story you were in. I’ll confess I hadn’t read any of Joe’s fiction up until this invite. A day later I bought Whiskey Sour and finished it in about three days. The next three weeks were a whirl wind of Jack Daniels, (the book not the liquor). Six weeks after reading Joe’s blog invite I had read all the Jack Daniels novels and had written my own OzValt Grant/Jack Daniels crossover novella, Cop Killer. Within twenty-four hours of submitting Cop Killer Joe emailed me stating that his wife had read it and liked it. For the next year I spent writing two follow up novels as well as writing some of my own books. Joe promptly read and gave the thumbs up on this trilogy which spurred me forward to greater heights not just with his work but with my own. I’ll be forever grateful to Joe for such generosity. I came across Joe’s blog through reading Blake Crouch’s novel Pines. Blake and Joe have collaborated in the past. I checked interviews with Joe and found him quite stimulating (nudge-nudge, wink, wink!). Thanks again JOE!! Now that all that gushing it out of the way (HEE HEE), let’s move on. I don’t want this blog post to be an all-out ad for my thirty plus books available on amazon.com: http://www.amazon.com/-/e/B00CWEFNVS. I would like to entice you a bit with some of my titles however because these are entertaining stories and I feel that many of Joe’s readers would love them. I’m forty years old which means that I was born in the mid-seventies but am really a kid of the 1980’s. I watched movies from the seventies and eighties and so, from a young age that informed my perspective on creativity. Directors like John Carpenter, Sam Raimi, the Cohen Brothers, David Lynch etc…were my creative building blocks. When I started reading novels at age fourteen I started with Stephen King and Clive Barker and later graduated to writers like Bloch, Beckett, Lansdale, and Konrath. I mention these filmmakers and writers because I have two book series that I am very proud of and many of these artists helped inform those works. The OzValt Grant Collection consists of three novellas: Mud Street, Snuffed, and Acorpsepile. This series introduces my former sniper, former Homicide detective, OzValt Grant to the reader. 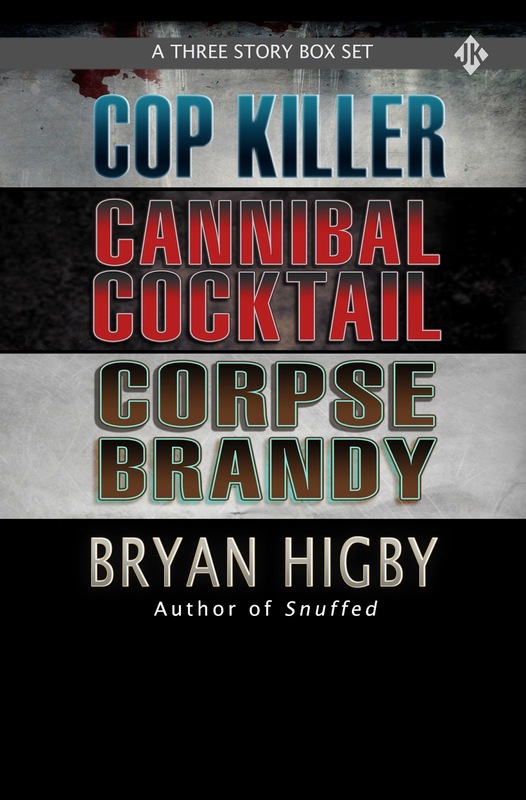 You’ll read more about Oz in Joe and my collaborations – Cop Killer, Cannibal Cocktail, and Corpse Brandy. Oz is a tough S-O-B who has a serious streak of loyalty for his ex-partner Jim Conrad, who still works for the DenMark City PD. This loyalty for his partner is what spurs Oz to visit Chicago. This launches the Jack Daniels/OzValt Grant thriller trilogy. 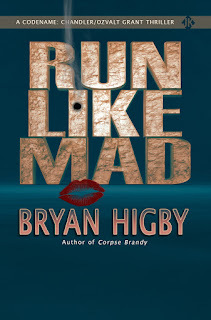 I also wrote a Codename: Chandler novella titled Run Like Mad. This has Chandler and OzValt Grant doing just that. (Joe sez: buy it, it's only $1.99). 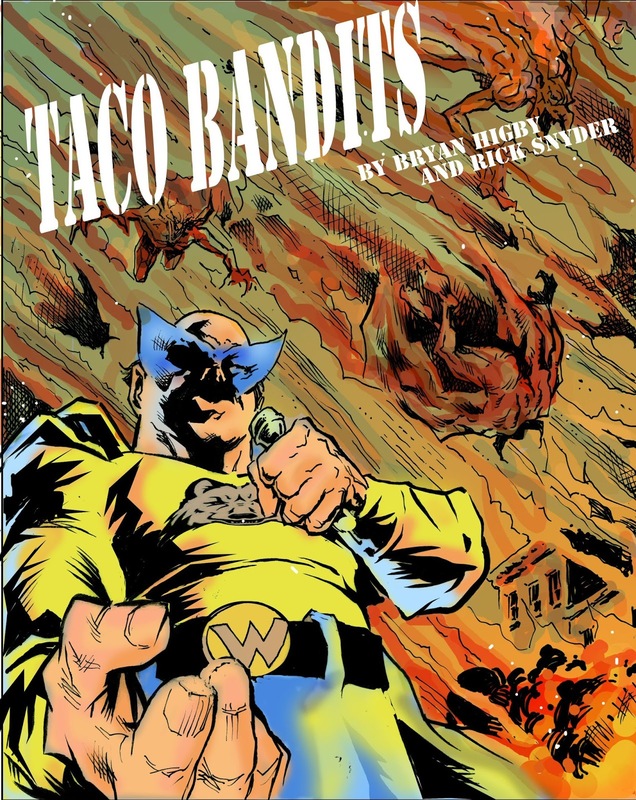 My second book series created by Rick Snyder and myself which is more tongue-in-cheek is titled, The DenMark Chronicles. This series is like FAST FOOD FROM HELL! The series is currently comprised of Pizza Man, Taco Bandits, Chuck A Chik, and Coffin Kids with many more titles on their way. The DenMark Chronicles is very much inspired by films like Big Trouble in Little China, Evil Dead, John Dies at the End, and The Big Lebowski. The stories are filled with crazy characters battling other-worldly evil that is trying to destroy mankind, (not that it needs help). The DenMark Chronicles are a love letter from myself and my writing partner Rick Snyder to fans of the above writers and filmmakers. These books are essentially Ghostbusters for the 21st Century. They were written as buddy novels but have evolved into much more. Let’s just say if you like laugh out loud stories that will entertain you for years check them out. I’m in my infancy with self-publishing and am not against traditional publishers. I like the hybrid approach. I’ve worked with New York Times bestselling author Bob Mayer and his publishing company Cool Gus Publishing to help them expand his Psychic Warrior book series. Cool Gus, is a great company. I recommend any writer to submit to Cool Gus. In closing for anyone who has always wanted to make a living writing try self-publishing. Go to Amazon.com and check out the KDP and Createspace platforms. And hell if you still want to go the traditional route do that but while you’re waiting at the door for the gate keepers to open up get some real world experience and start publishing on your own terms today! Thanks again Joe! You’re the best! Joe sez: Bryan is easily one of the most prolific and enthusiastic authors I've ever run into. He writes with unabashed exuberance. If you missed the link above, I encourage you to check out some of his stuff here. I've been out of commission for a while, and am finally getting back into the swing of writing. Part of it was because of external factors, but some of it was me. After spending so many years treating writing like a business, I'd forgotten that I had become a writer because of the joy it brings me. I believe most fiction authors begin writing because they love stories. That love can get lost. What was once a passion becomes a job. Real life intrudes. The industry begins to overwhelm. Trying to sell books somehow becomes more important than trying to write them. Remember to put your writing first. That means writing what you're passionate about. What you love to read. It's why you became a writer. And it's the one thing that will sustain you throughout this turbulent career. Don't do it for the money. Do it for the fun. If you do it for fun long enough, the money will come.